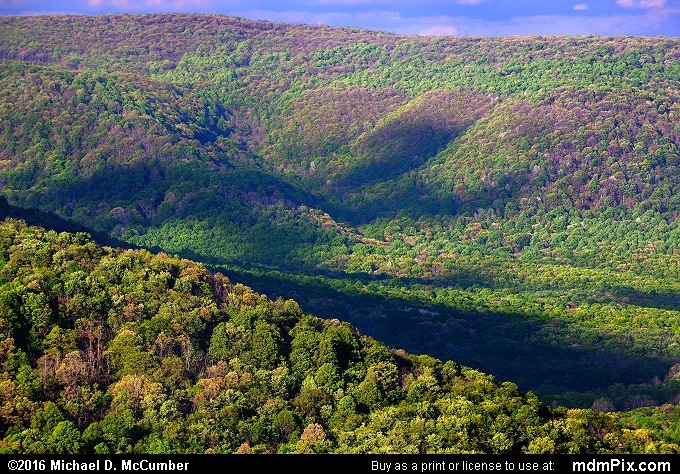 Pictured are the slopes of the expansive Laurel Ridge and Youghiogheny River Gorge as visible from the Baughman Rocks' Overlook within Ohiopyle State Park, PA during spring. 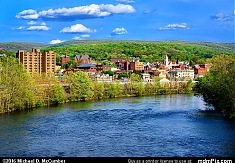 The valley featured is called The Flats, where the Youghiogheny River cut an enormous arc in the ridge. 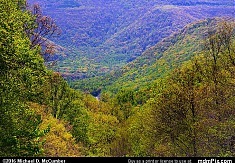 Visible in this picture are the various stages of spring foliage growth with the higher ridge tops still mostly empty of leaves.